I support progressive electoral reform. The present system does need changing. It normally delivers firm government but does not necessarily represent the collective views of the country. The present system normally allows one party with the largest minority of votes to implement its manifesto, but at least we have a good idea what this means when they are elected. If we are going to move to proportional representation it will mean that we will have to trade the clarity of a manifesto for a compromise. 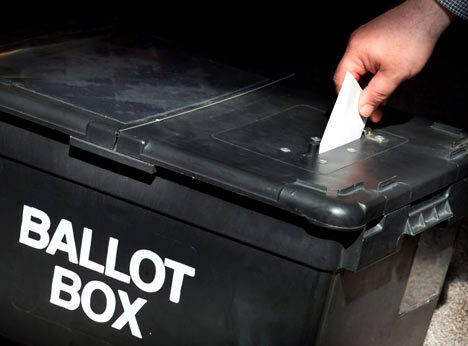 But I am only willing to do this if the voting system – as to a large extent it does in Scotland and Wales – genuinely reflects the view of the electorate. In other words a serious dose of proportional representation. AV leaves us with the chance of a botched government elected by a botched electoral system. Rather than taking into account the votes of all the people and topping up Parliament to reflect this, it allows a small minority of people to exercise their choice twice at the expense of the majority of people who will only be able to use their first preference. In many places it won’t apply at all. In my own seat, Herts South West, for example, Tory David Gauke, was returned with 54.9 per cent of the vote, so AV will be irrelevant here. And if it was just below 50 per cent, it would be second preferences of an independent, BNP and UKIP candidate in that order, that would have been redistributed. In East Ham it is more pronounced with ex Labour minister Stephen Timms being returned with 70 per cent of the vote – a majority of 27,826-the largest in the country. No AV there and 30 per cent of the electorate ignored. Similarly foreign secretary William Hague had 62 per cent of the vote in Richmond, Yorkshire and Gordon Brown would be unaffected in Kirkcaldy with 64.5 per cent of the vote. And also for that matter David Cameron, Dominic Grieve and John Hayes (all 58-61 per cent). It would have made a difference in Watford (Tory gain from Labour) and won with only 34.9 per cent of the vote because all three main parties were close (the Lib Dems came second) and the bottom three shared only 5.6 per cent of the vote. But why should your second preference count in Watford but be barred in next door Herts South West? Supporters of AV say it is a step in the right direction towards full PR but I wonder whether it could make matters worse. And I am afraid that the performance of Nick Clegg and Vince Cable in government does matter. They got elected on a manifesto that they stood on its head as part of the negotiations to get power, particularly in the grotesque way they pledged to abolish student tuition fees but instead tripled them. I think they are unaware of how damaging this has been to politics-confirming the view that people will cynically promise anything to get elected but can’t be trusted in government. No doubt at the next election they will pledge to defend the NHS and then proceed to abolish it once they are in power. Clegg has actually left people believing he is a serial liar ( reports on the doorsteps in Dacorum include people saying they will never vote Liberal Democrat again ). They also failed in negotiations with the Tories to use a referendum to offer the public a full choice for electoral reform. So the choice is only first past the post versus bastarised PR – AV. We are not even given a chance to vote on the system used by Scotland or Wales. I have been disenfranchised by these shenanigans so I will stick to the present system and wait for a government to be elected that will offer real choice for electoral reform. This entry was posted in Uncategorized and tagged alternative vote, elections, nick clegg, proportional representation. Bookmark the permalink. Beautifully expresses my feelings too – except that I would like to go even further to promote effective democracy than PR; to include binding referenda on matters that a substantial number of the electorate demanded one, and a device for making MPs, throughout a parliamentary term, more prepared to take account the views of their constituents compared to the party line. What a bizarre thought process. The electoral system is grossly unfair but I will reject the first ever opportunity to change it as it wont go far enough. Voting no, which is funded by the taxpayers alliance (itself funded by the same bankers that caused the crash), and only supported by the Tories, the BNP and the Murdoch press, will mean that electoral reform will be off the agenda for at least a generation. Voting yes could mean a referendum on PR within one year of the next government. Sadly, we weren’t offered a vote on PR. Do you think we will get another chance of reform in the next thirty years? The only party that was serious about electoral reform is now unelectable, not because of a few broken promises, but because of a carefully orchestrated campaign of hysteria by the jilted Labour Party. The Labour Party. Remember them. Them lot what promised us a referendum on electoral reform in three manifestos running, yet despite having a massive majority for over a decade did nothing about it until the last few months of a dying government. You think we’ll be offered a vote on PR? By who? Your comments are damaging to those of us who care about reform. Huh? The single-most important thing about coalition politics is the Coalition Agreement. David’s right, coalitions are about trading “the clarity of a manifesto for a compromise” and that compromise is the Coalition Agreement. As the minority partner the overwhelmingly most important thing for the Lib Dems is ensuring that the Coalition Agreement is met to the letter. If the agreement is not met to the letter then the junior party has no meaning. Yet the Lib Dems have failed, miserably. Remember “no top-down re-organisation” of the NHS? Miserable failure, we are seeing the biggest re-organisation ever, and at a time when it will do its most damage, possibly so much damage that the NHS will never recover. Lib Dem failure. Remember “directly elected individuals on the boards of their local primary care trust”? Miserable failure. Lansley is abolishing PCTs and replacing them with unaccountable businesses (that is, GP consortia). Miserable Lib Dem failure. By its nature, fully proportional representation will always lead to soem kind on minority government or coalition, and so it is vital to forge a system that ensuires that coalitions work. The failure to keep to the Coalition Agreement is a failure of the Lib Dems and it shows that they are incapable of being anything other than a human shield when in government. The Lib Dems willingness to be ministers rather than coalition partners have killed off coalition politics in this country for a generation. If there is a no vote, it will legitimise FPTP and discourage anyone raising it again. Whereas a system that can be changed once can be changed again once the priniciple is established. AV is arguably only a step away from STV with multi-member constituencies. That would address many of the problems you raise, without creating a list system under the control of party bureaucracies. I agree that AV means that, for those living in seats where 1st preferences are more than 50% second preferences don’t matter and that the solution, as you suggest is a more proportional system. But if you live in one of those seats where the ‘winner’ scores less than 50% surely AV is a step forward. We are not being offered the choice of a more proportional system, as others have said, a vote for FPTP effectively closes down the debate on electoral reform. I can completely understand your sentiment. AV is not PR. I would prefer PR to AV, but that is not the question that will be put to us on 5th May. I doubt that a NO result will make the chances of future referendums any more likely – in fact, I think it will make it less likely. I imagine that a NO result will be interpreted to represent a nation that is conservative and against change. A YES result could suggest a progressive public. This is all conjecture of course, like the arguments you cite. I will be treating the referendum as a simple question: “which would you prefer – FPTP or AV?”. Only a third of MPs were elected by a majority of constituents in the last election. AV would make a positive difference, even if it is a small one. David, on the offchance that this gets to you before you go out to vote – you are right about so much, but badly wrong about this. In 2005 I, like thousands of otgher Labour voters, wanted to use my vote to protest against the Iraq war. Labour was able to show that, where I live in Barnet, anything other than a Labour vote was a vote for the Tories – and how can someone who lives in Barnet vote for the party of the wretched Brian Coleman? So we had to vote for Blair’s Labour Party, and see our votes cynically used to show that the silent majority supported Blair’s Iraq adventure. I’ll vote YES to stop the big parties blackmailing me.